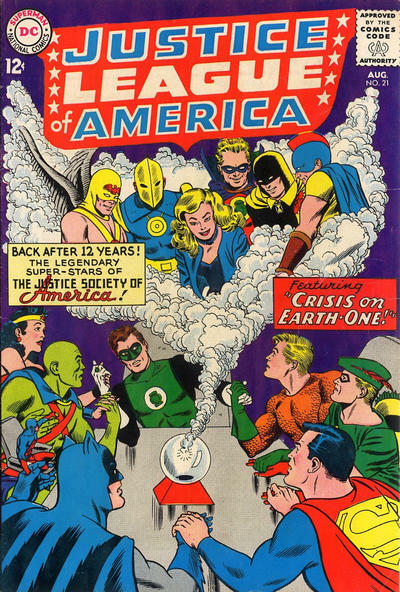 Justice League is out this week (11/17, officially) and I’ve already gone on record with my deep ambivalence toward the movie. Fine. 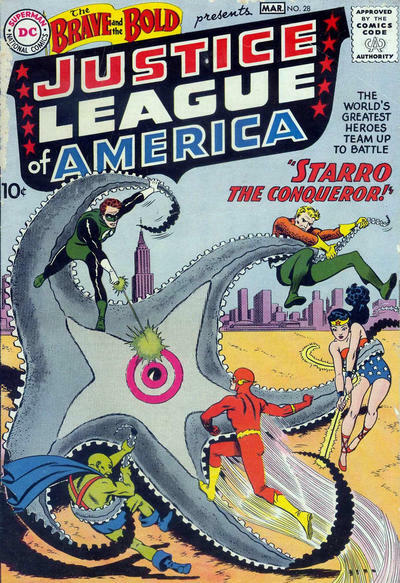 But whether you’re into the movie or not, it’s a lot of fun to take a dive into the source material, so this week we’re celebrating the League of decades past — including 13 COVERS: The Justice League in the Silver Age! 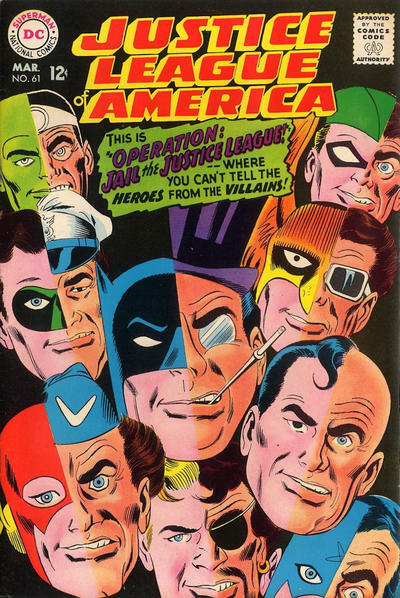 Cover images and credits from the go-go Grand Comics Database. 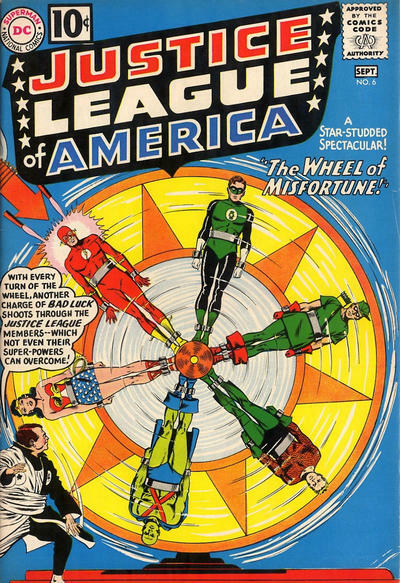 — A Look Back at the Wonderfully Cheesy World of Filmation’s JUSTICE LEAGUE. Click here. 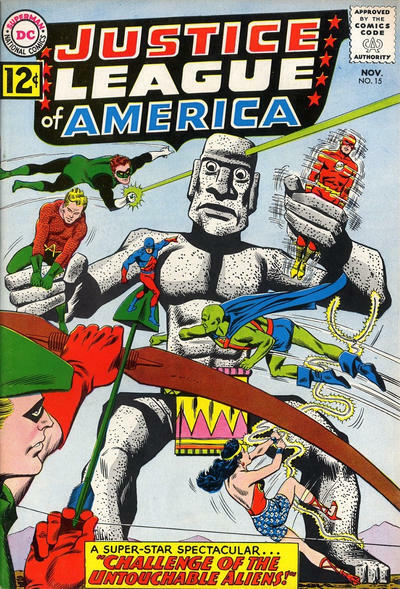 — 13 COVERS: The Justice League in the Bronze Age. Click here. 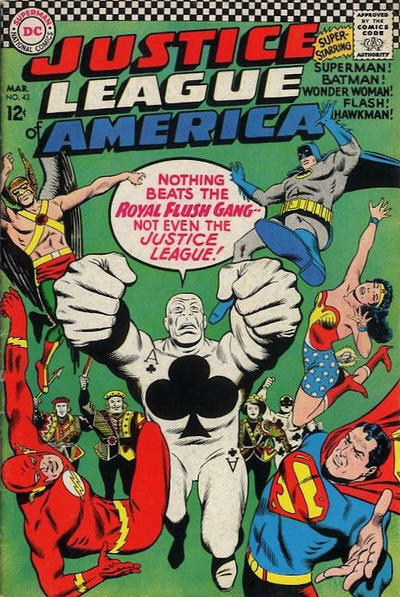 — 13 COVERS: The Justice League in the BWA-HA-HA! ’80s. Click here. Great choices. 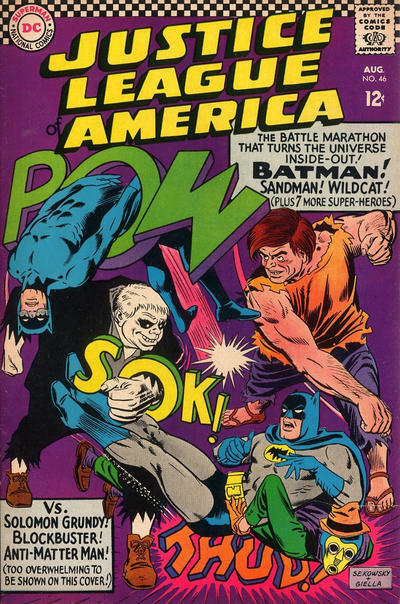 Issue # 55 is one of my absolute faves. Would be nice to also see #45 with The Shaggy Man. 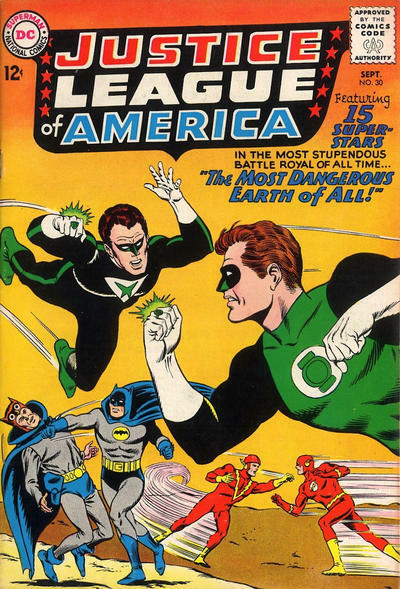 You can see #46 being totally influence by the Batman TV show. Good times! 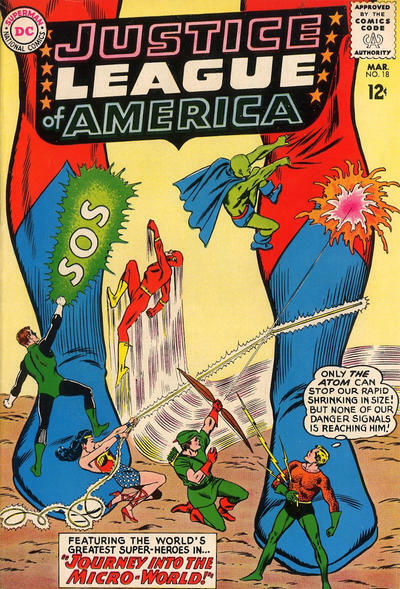 Mark Evanier left us one big clue about the Justice League movie. 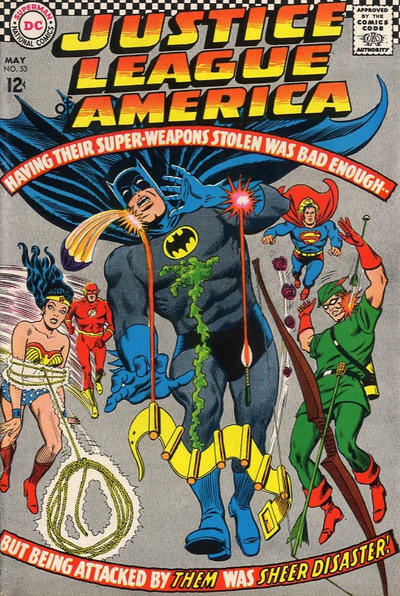 He basically said the less you know about the comics the more you’ll like it. 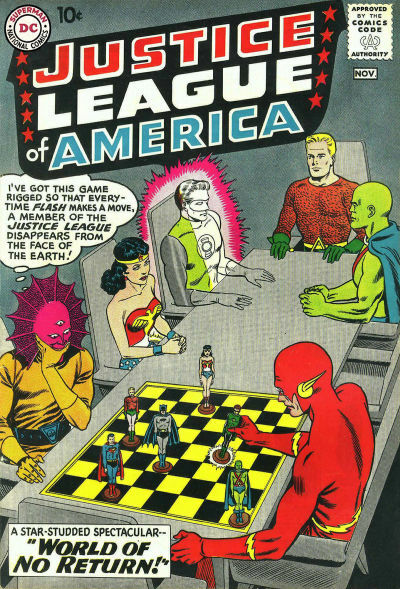 Meaning this is not the JLA. This the the Warner Bros Justice League movie. 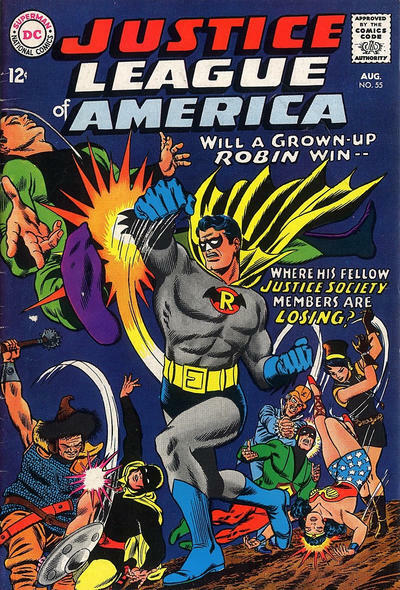 It’s not an adaptation of the comic book, it’s loosely based on the characters from DC. And we are going to have to live with it. 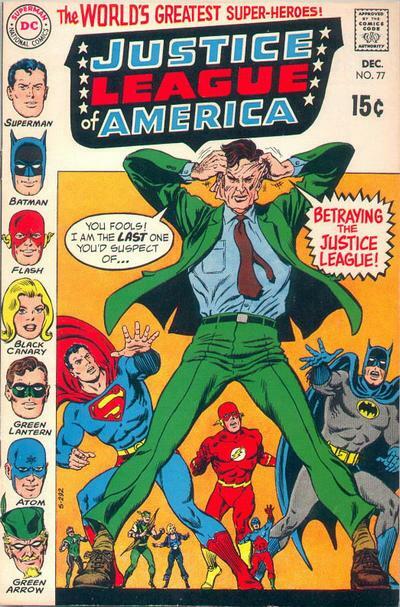 Having said that I had a brief chat with former Superman writer Elliot S! Maggin at San Diego. He told me at the premiere of Batman v Superman, he spent a lot of the movie sharing looks with Laura Siegel Larson ( Jerry’s daughter) as they couldn’t believe what the studio did to Superman. So you and I are in good company in our option of Man of Steel and BVS. They didn’t understand Superman at all.